The 3D Circular Process Diagram 2 Steps for PowerPoint has two chevron segments presenting continuous loop. 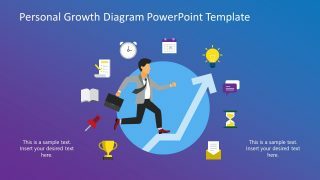 This PowerPoint template of circular chevron arrows has two semi-circle curves. The arrow direction of both segments shows output of one process as an input of another and vice-versa. In other words, the circular process diagram displays the relation of 2 steps to a central idea. It is a cycle process diagram template made up of four arrows in the circular flow. 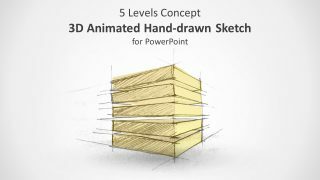 But the interesting feature is that diagram demonstrates a 3D effect using simple flat PowerPoint shapes. 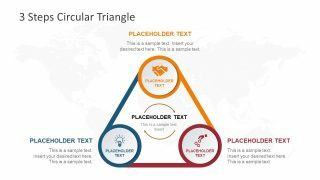 The 3D Circular Process Diagram 2 Steps for PowerPoint is multi-purpose business template design. It can assist presenters to discuss various cycle process. Such as two individual elements interconnecting to make a whole system. Or, to display a sequence of stages, events, or tasks in a circular flow. Although this circular process diagram is a good way for presenting information of cyclic nature through visually appealing graphics. It can also aid in multiple chevron arrow templates like process charts and business diagram. 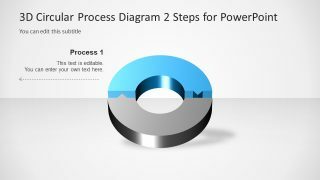 The SlideModel catalog includes a similar PowerPoint layout design for 5 steps 3D circular process diagram. 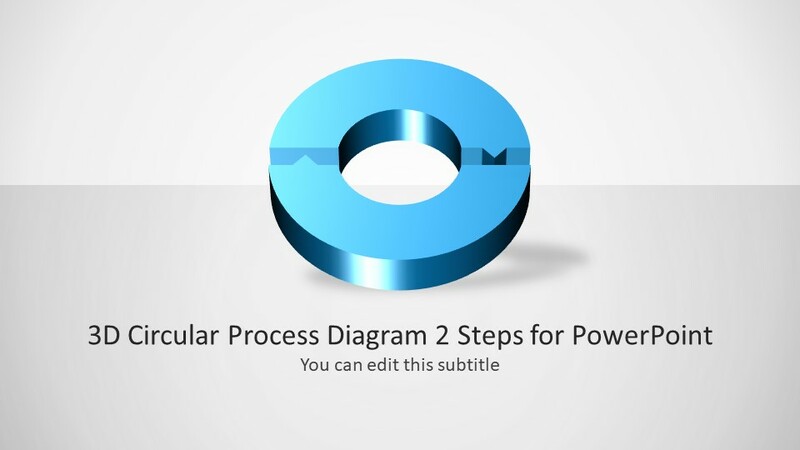 This PowerPoint diagram shows four slides of 2 steps a circular process with slight changes in design. 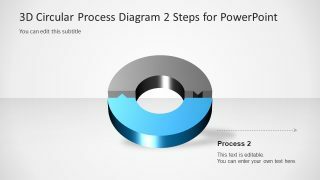 For example, first template has blue and gray theme 2 step chevron cycle with material color effects. Similarly, the second template has text placeholders to briefly discuss functions of each process. Moreover, next two slides highlight individual process by graying-out the other one. The users can either use all layouts to discuss a sequence of activities in details. Or select a template more suitable to their presentation. Furthermore, they can change the color of 3D circular chevron shape, alter the effects or resize them if necessary. 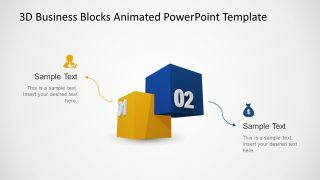 There are variety of personalization options available in format menu of PowerPoint including size, colors, rotation, alignment etc.